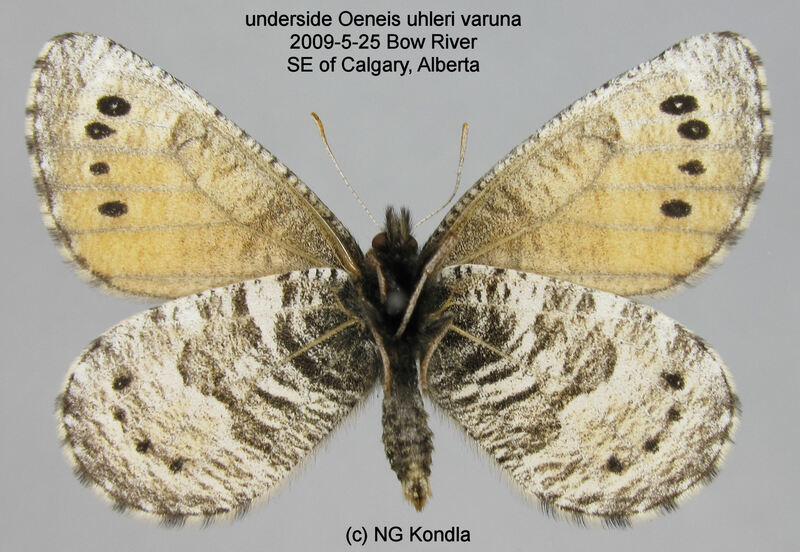 Identification: Upperside is dull orange-brown with dark veins. 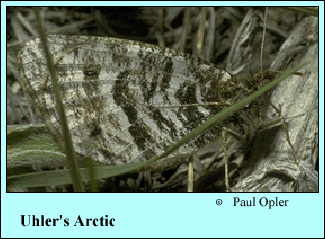 Underside of hindwing has a dark basal half, a lighter outer half. Both wings have one-to-many small submarginal spots. Wing Span: 1 1/2 - 2 3/16 inches (3.8 - 5.6 cm). 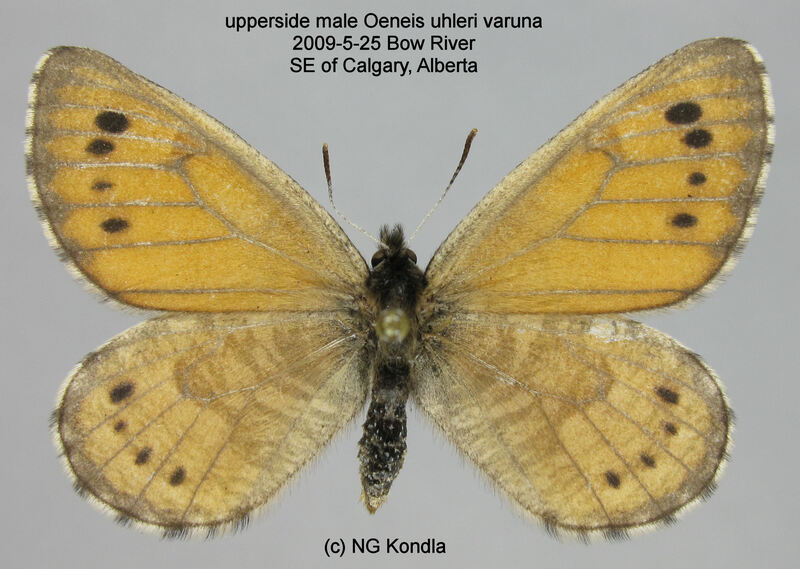 Life History: To find females, males perch and occasionally patrol below ridge crests in bunch-grass habitat. Females lay eggs singly on grasses and sedges. Fourth-stage caterpillars hibernate, emerge in the spring to feed again, and pupate just under the soil. Flight: One brood from early June to early July. Caterpillar Hosts: Grasses and sedges. Habitat: Slopes in dry, open bunchgrass habitats; tundra; openings in pine forest. Range: Northeast Alaska, Yukon and western Northwest territories. Central Alberta south through the Rocky Mountains to northern New Mexico; east through the Canadian prairie provinces to western Minnesota.